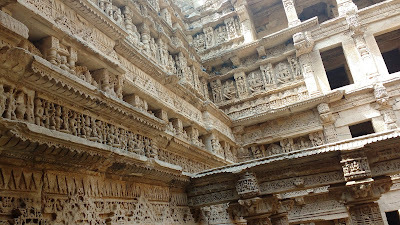 I'm yet to fathom the association of step-wells with queens - Bundi and Adalaj have one each - but one thing is for sure: these places are stunning! 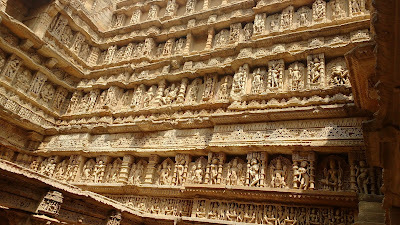 In one way, there do exist common lore dedicated to the beauty of the royal ladies and so the structures that they sought built would logically be beautiful and intricate too. Anyway, let's not digress on account of my fanboy-ism. 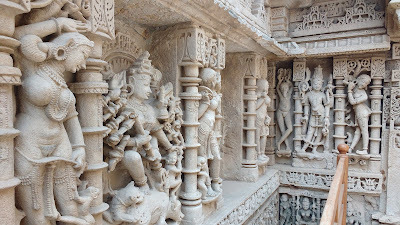 The 'Rani Ki Vav' is an immense structure attributed to the queen Udayamati in memory of King Bhimdev of the Solanki dynasty. 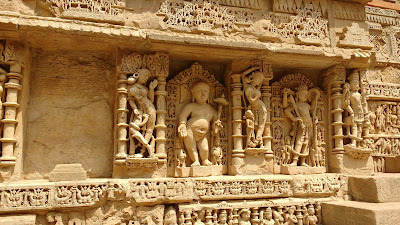 Patan was the capital of the erstwhile kingdom. 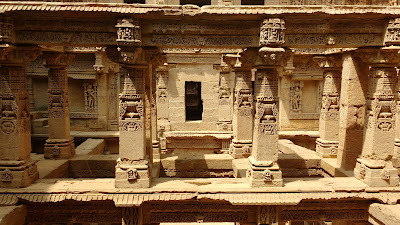 A casual inspection of the Solanki era structures shows their flair for artistic detailing and intricacy. In these aspects this step-well is second to none. And yes, this is a World Heritage Site since 2014. 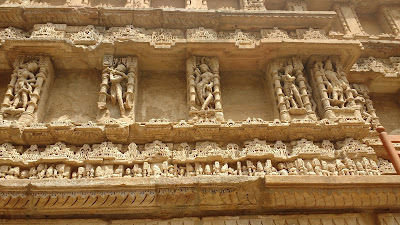 A quick shout-out to Gujarat Tourism for maintaining this site in the way they have. The basic facilities are well taken care off, and active monitoring of cleanliness if possible through the 'Swacch Paryatan App'. 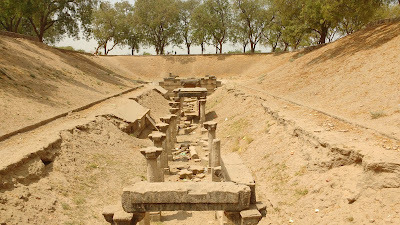 The ASI also have done a super task at this site. 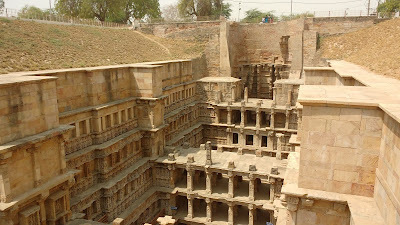 Around 1960 when ASI took control of this place, only the very upper sections of the well were seen. These are plain walls and would betray the treasure that lay buried at the lower levels. 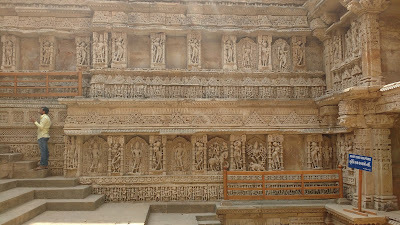 Negligence and floods in the Saraswati had taken some toll. 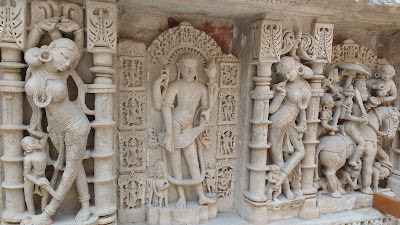 A systematic and painstaking excavation by the ASI has revealed the true extent of the magnificence of Solanki stone-working skills.A heartfelt thanks! The step-well stretches east-west dropping quite a few levels in the process. 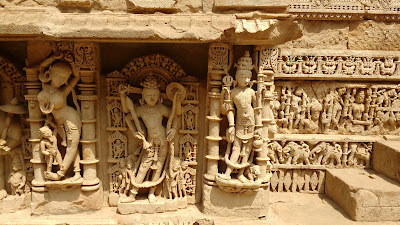 The sculptures adorning the walls feature a variety of motifs from the Hindu mythos. The intricacy of the artwork progressively betters as one approaches the main water-body. The last three levels are cordoned off to keep people from venturing too near the water. With this, let's start the photolog! 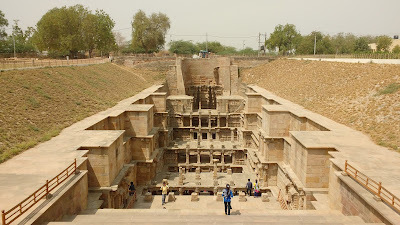 A little ahead of the step-well is its contemporary water-body called the Sahastraling Talav. 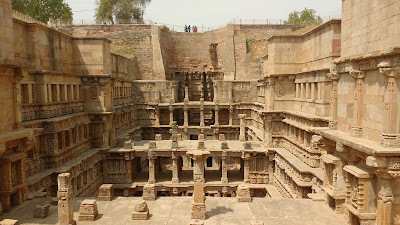 The name suggests a pond with a thousand shiv-lings, but in reality this is more like a canal with integrated temples. 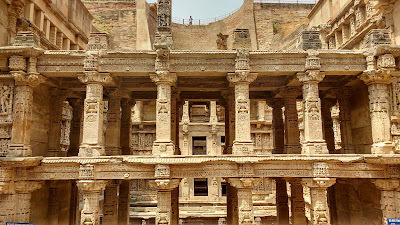 The main structure is in a state of disrepair, and the farther sections are littered too. A triple throne structure is said to be broken now. 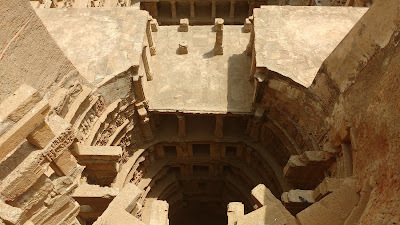 The Rani Ki Vav is located at the northern outskirts of Patan town near the river Saraswati. 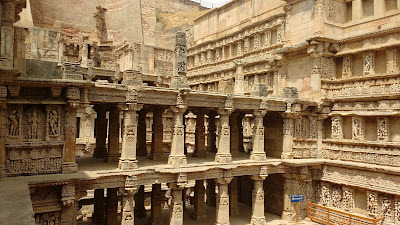 Patan is connected by road to the major city of Mehsana and other places of interest like Modhera, Siddhpur and Vadnagar. Ahmedabad can be reached from Mehsana by rail or road.